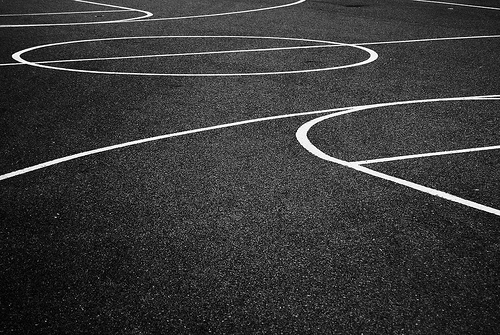 If you have an existing blacktop basketball court or would like to install a new one then we can help! We will make sure your court is perfectly level but also has the correct drainage considerations so you don't end up with water puddles in the middle of the court ruining your pick-up game. We also fix issues with basketball courts (just like we do with potholes on driveways). If you would like a free cost estimate on how much it will be to repair your blacktop Basketball Court or how much it would be to install a new one then give us a call or fill out the form to the right. We look forward to helping you get your game on.